A long time ago — like the late ’70s, early ’80s — a very sweet mom started the grand tradition of making her little girl a special dessert on her birthday, and on those days when the little girl came home pissed off because Jason Adair couldn’t stop screaming, “April’s a Fool! April’s a Fool!” Her mom called this “choco ice cream dessert” and the little girl called this freaking delicious. Then one day — somewhere in the 2011 range — the little girl discovered she could no longer eat the greatest dessert of all time, thanks to a nasty case of the sprue. (Isn’t that a funny word for celiac? Yes, it is.) You see, the crust of this fab choco ice cream dessert is made of Oreos. And Oreos could kill a celiac. Or anyone else, for that matter. Seriously, that’s like all lard in between two chocolate cookies. But the little girl was all grown up and willing to take a risk on lard, if only she could find a gluten-free Oreo alternative. And holy crap, she did. Tada! Thanks to Kinnickinnick, who make a delicious gluten-free Oreo, life is better. Score one for celiacs! There are sooo many things a gluten intolerant person can do with a gf Oreo, like say sprinkle it on frozen yogurt, dunk it in milk, and make the greatest ice cream dessert of all time. That’s what I did with my bag of faux-eos. But you can do whatever you want. I will not judge. 1. 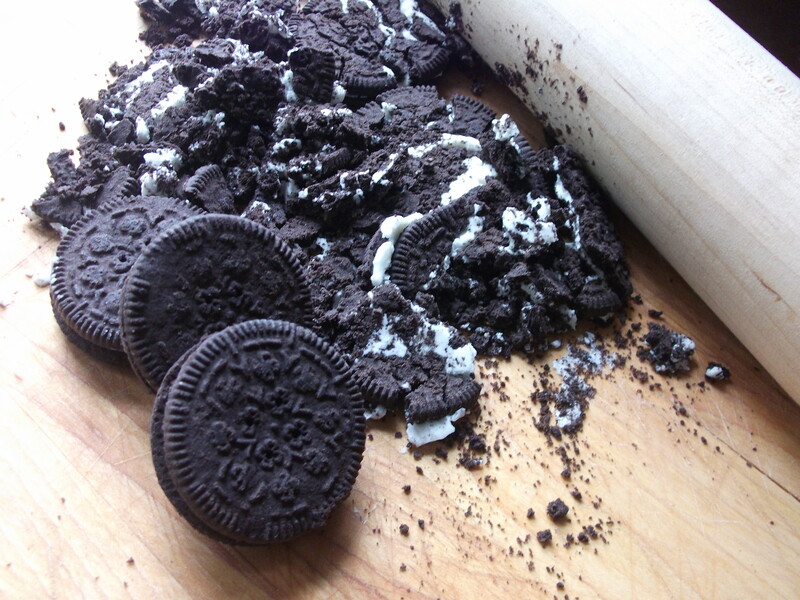 Crush faux-Oreos and mix with melted butter. Press into 13 x 9 x 3 baking dish, or round 5 quart dish. 2. Cover with softened ice cream, and put into freezer. 3. While it’s freezing, make the chocolate sauce by slowly melting butter, sugar, and chocolate. Gradually add milk and cook, stirring, until mixture thickens. Add vanilla and remove from heat. Cool the sauce, then pour over frozen ice cream. Return to freezer until set. 4. Spread Cool Whip or whipped cream over the chocolate sauce, and sprinkle with your nut choice. Freeze. 5. Remove ice cream cake from the freezer at least 10 minutes before serving. Tags: gluten free dessert, gluten free diet, gluten free ice cream cake, gluten free oreos, gluten free recipe. Bookmark the permalink. Previous post ← I’m Writing Crazy Letters! I was forced to watch the others eat this one once when having dinner with Amy and her mom before you knew you had to be GF. What great joy to know this dessert, which everyone was nearly crying over, can now be enjoyed by all in the land! Except maybe vegans. Or those who can’t do sugar. Or Dairy. But everyone else is good. I’m so sorry! If only I had known. 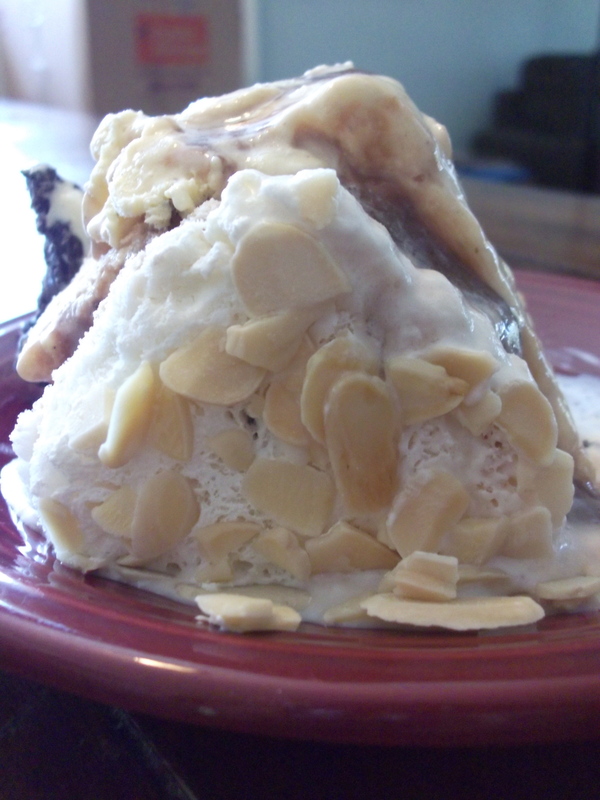 Have you tried the “So Delicious”, ice Cream made from Almond and Coconut Milk? So yummy!! I actually just transformed this recipe completely into a dairy-free, gluten-free one using the mocha almond ice cream from So Delicious. It was amazing! But it was definitely not quite as easy as this recipe, only because I had SO many dairy challenges. Still . . . awesome. Sounds great. This goes onto my list of things I should try this summer. Whether or not I will get to it, is not yet know, but it might be a miracle if I do, which would be a wonderful miracle. 🙂 Thanks. Do you think you could use coconut milk instead of the condensed milk to make it dairy free? I actually did this same pie using Earth Balance in the crust, gluten-free and diary-free chocolate chips (with no condensed milk) and So Delicious almond ice cream and it was totally dairy free. 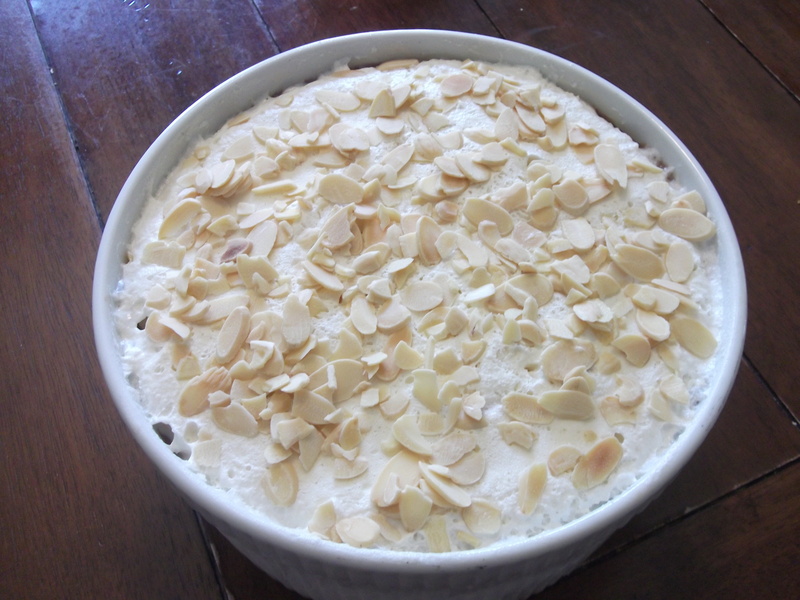 Oh, I also topped it with rice milk whipped cream. So, yes, you can totally make this dairy-free. Believe it or not. Ohh, I’d like to make this for my man’s birthday this week! But how much chocolate is “two pieces”? Hi! When my mom had this recipe they always used baking chocolate so you could use 2 squares. I’ve updated it in my book to 4 ounces. I get mine at either Trader Joe’s or Whole Foods or my local Von’s/Safeway. I do know you can find them on Amazon as well. I’m actually making this tomorrow for my daughter’s birthday!